We are a volunteer-staffed organization. There are no salaried positions. The 2019 legislative session is underway in Albany, with Democrats taking control of our state senate. Senator Andrea Stewart-Cousins is the first woman to become the Temporary President and Senate majority leader. Senator Michael Gianaris is the new Deputy Leader. We will be focusing on the following two bills and lobbying the committee members because they are the most important: Senate bill S3419, a direct access bill, has been introduced by Senator Velmanette Montgomery, the prime sponsor of our adoptee rights legislation in 2010. David Weprin will introduce the assembly version, A5494, to be assigned to the Health committee. His bill is expected to pass in that committee and be reported to codes committee. CO-SPONSORS: Gaughran, Gounardes, Harckham, Hoylman, Krueger, Little, May, Metzger, Parker, Ramos, Sepulveda, Skoufis. We have only three committee members who are co-sponsoring: Hoylman, Little and Metzger. 2010 Manhattan City Hall press conference with State Senator Velmanette Montgomery and Assemblymember David Weprin. Read the April 30, 2018 Health Department Task Force Adoptee Stakeholder Workgroup Report here. 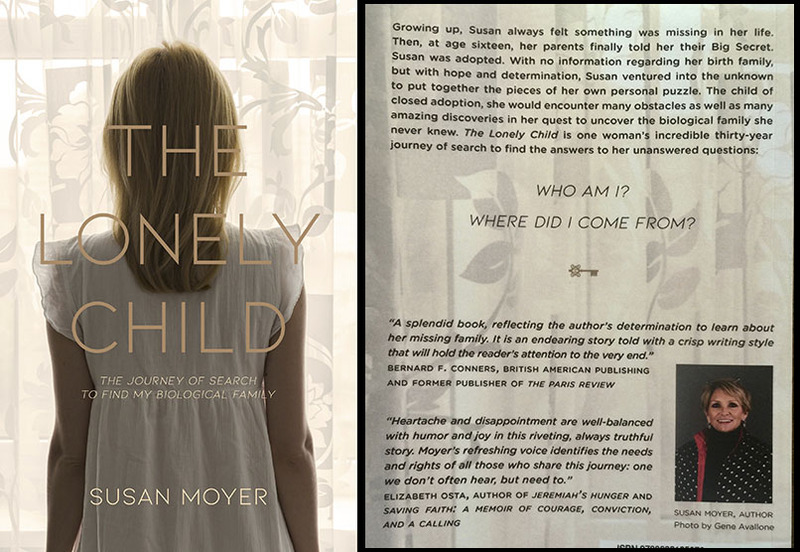 Susan Moyer's new book, "The Lonely Child", is now available. She speaks publicly for unsealing birth certificates and will be joining us to lobby in Albany this session. Read the article in the Democrat and Chronicle here; read the article in the Albany Times-Union here. 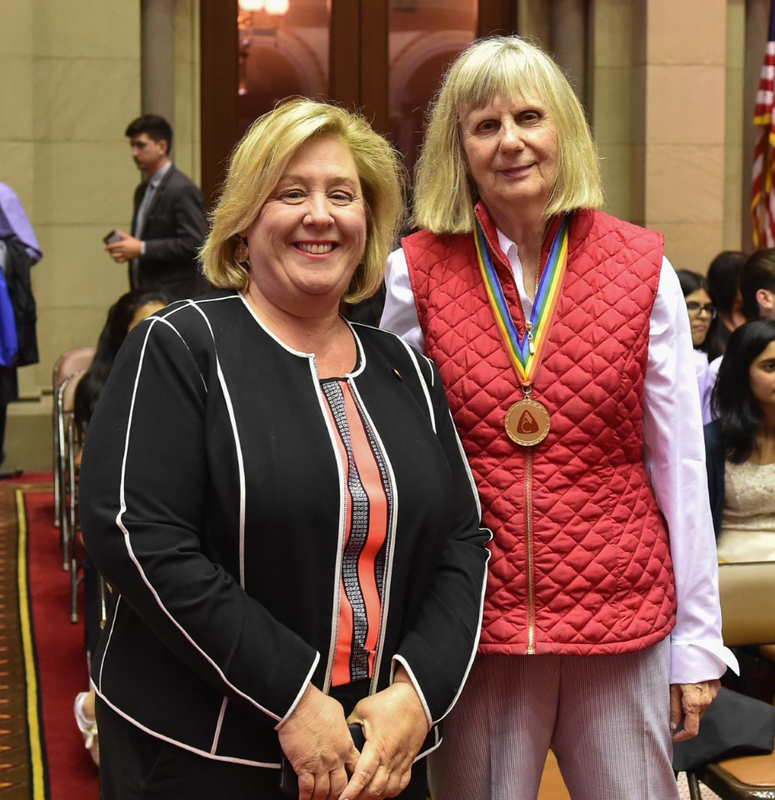 Manhattan Assemblymember Rebecca Seawright (l.) introduced Joyce Bahr to the Assembly on June 5, 2018 and thanked Joyce for her activism. Ms. Seawright and Joyce Bahr both spoke out in support of direct access bill A9959B at a press conference held at the Capitol and organized by the bill's prime sponsor, Assemblymember David Weprin. We thank Assemblymembers Brabenec, Carroll, Gottfried, Johns, Seawright and Thiele for attending and speaking out for the Right to Know. Birth Parents terminated their parental rights many years ago. They did not get rights. They should not be allowed to alter or deface an adoptee's birth certificate, which is the record of their birth. The idea of the redaction removing all names from original birth certificates was not well thought out. It is not a good step forward for women or adoptees. It would be a blunder, a stupid or careless mistake that would punish and humiliate adoptees if enacted into law. Adoptees are being held to a contract they never agreed to, nor can they outgrow or escape from it. As social beliefs have changed and current research bears out, denying adoptees their fundamental human right to understand their biological connections retains the Victorian Era system of keeping adoptees second-class citizens. It is Unsealed Initiative's stand that adoptees deserve their original birth certificates without redaction and that all members of the adoption triad be given the opportunity to heal from the mistakes of the past. RE: A5036B/S4845B On Friday, December 29, 2017 Governor Andrew Cuomo vetoed but tabled the amended bill. The Health Department, which is a part of the Governor's office, assigned a task force made up of bill sponsors and a diverse group of people. It was the job of this task force to to come up with a bill less cumbersome for adoptees and less costly for the state. In 2010 our President Joyce Bahr and our Legal Adviser Ellyn Essig, Esq. worked with Senator Velmanette Montgomery's Chief of Staff and Legal Counsel to amend our clean bill of rights. Some of the wording in the bill text was improved, and changes were made in the contact preference form and other sections of the bill to make it less costly for the state. At the end of the 2017 Albany legislative session, amended bill A5036B (this bill was amended in assembly Codes Committee making it more restrictive) and senate bill S4845B ("same as" bill) passed in both houses. View several of our Assembly sponsor David Weprin's videos in favor of adoptee rights here. View Assemblymember Robert C. Carroll (a co-sponsor of clean bill A6821A) speak AGAINST the badly-amended bill here. View Assemblymember Joe Borelli's assembly floor debate speech here. 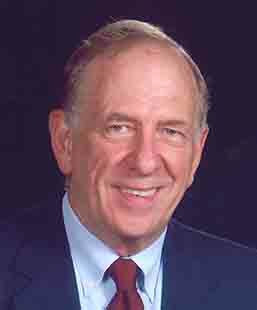 View Assemblymember Fred Thiele Jr.'s speech here. Even adoptees with life-threatening diseases such as breast cancer are denied rights. 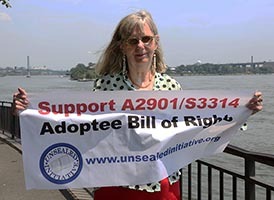 Watch an adopted woman speak out at a 2013 Unsealed Initiative protest at Assm. Helene Weinstein's office here. Mothers forced to surrender their babies demand an apology. Pam Hunter's childhood inspires her to reform adoption in New York. Adopted woman seeks access to birth records for her and thousands of New Yorkers. Assemblyman Out To Overturn 84-Year-Old New York Law That Keeps Adopted Children's Birth Parents Concealed. Adopted Abroad as Infants, Raised in US, and Now - They May Face Deportation. Following News10NBC investigation, lawmakers introduce legislation to update 80-year-old state law. The maternity homes where 'mind control' was used on teen moms to give up their babies. Why won't the U.S. ratify the U.N.'s child rights treaty?. The Irish Government has approved the forensic excavation of the site of the former mother-and-baby home in Tuam, Co Galway. The New York Times special report on Tuam. The Latest: Pope denounces Ireland's forced adoptions. Adopted and Undocumented: He Grew Up Thinking He Was American - Until He Was Deported. A judge finalized his adoption at age 6. Tug-of-Love: Immigrant Mom Loses Effort to Regain Son Given to US Parents after being arrested in Missouri for working without documentation. An adoptee Chuck Sweeny: Vietnam vet served the U.S. but can't get a passport because he doesn't know his birth mother's name. Senate report chronicles forced adoptions in post-war Canada. MPs to demand apology for forced adoptions in UK. Commons debate to recognise suffering caused by practice from 1960s onwards. Arkansas Blog: Adoption files will open to adult children on Aug. 1; birth parents may redact information. was amended at the end of the 2015 legislative session. that could have saved them. adoptees should have it. Serious health conditions might be revealed. Transcript from June 18 Assembly debate on A2901A available here, courtesy of Jennifer Sarro. Three Identical Strangers (trailer), a new documentary opening Friday, June 29, 2018. Read the Variety Review, "Tim Wardle's gripping group portrait of triplets reunited at 19 breaks fresh ground in uncovering why they were separated in the first place," here. 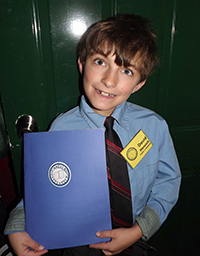 Public Hearing to Allow Adoptees to Access their Original Birth Certificates, Lower Manhattan, January 31, 2014. Lobbyers in Albany with Assm. 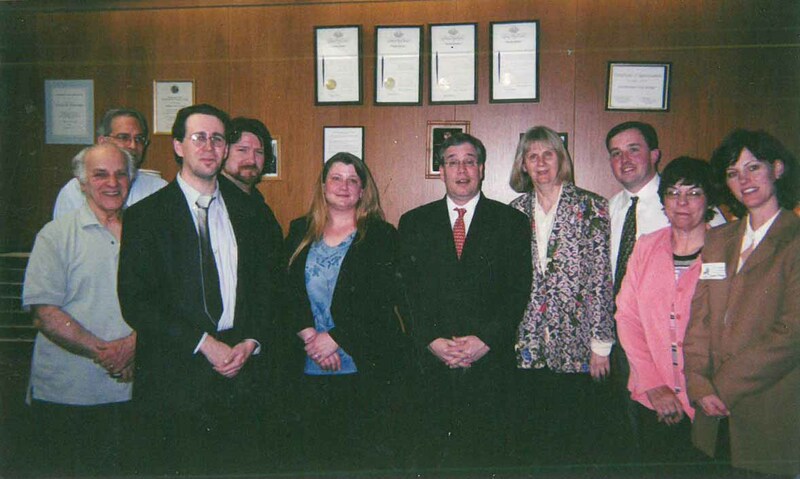 Scott Stringer (center), 2004. 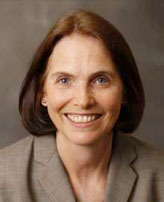 Judge Cyzgier cites The Matter of Linda F.M. saying the court found blackmail. The matter of Linda F.M. was heard by the Court of Appeals, the highest court in New York State. The judges conjectured and speculated blackmail, a slur against the motives of adoptees and Linda F.M. was denied on February 24, 1981. Assemblymember Helene Weinstein also made the slur of blackmail in her debate speech at the assembly floor debate on June 18, 2015. Visit http://assembly.state.ny.us/av/ and look under Archived Videos for the complete video and audio recordings of the proceedings. Join us to lobby our legislature and/or volunteer! There were never any written promises of confidentiality for mothers who surrendered to adoption from anywhere in the country. Indeed, surrender papers that unwed mothers signed terminating their parental rights contained no mention of privacy or confidentiality for them. Many of them never heard the word. Anonymity was imposed on them, but confidentiality was not given. The word "promise" was not spoken by either social workers or adoption attorneys. Court decisions in the Tennessee Supreme Court (1997), the Oregon Court of Appeals (1999), and the U.S. Court of Appeals for the Sixth Circuit (1997) held that open records legislation in Tennessee and Oregon violated no rights of birth parents under respective state constitutions or the federal constitution. Opponents of the new laws failed to produce any written promises of confidentiality. New York Assemblymember David Weprin was quickly able to see there was no legal confidentiality for birth mothers but, according to the Speaker's Counsel Jim Yates, there was intent in New York's 1938 sealed birth certificate law to give unwed mothers confidentiality. Yates commented, in a meeting with advocates in Albany at the end of the 2014 legislative session, "We don't care about adult adoptee constitutional rights." Possibly Mr. Yates is wrong and should care, because studies conclude the intent was for confidentiality of the adoptive home — so the child could grow up without intrusion from the birth/natural mother (who was considered to be a lowlife). 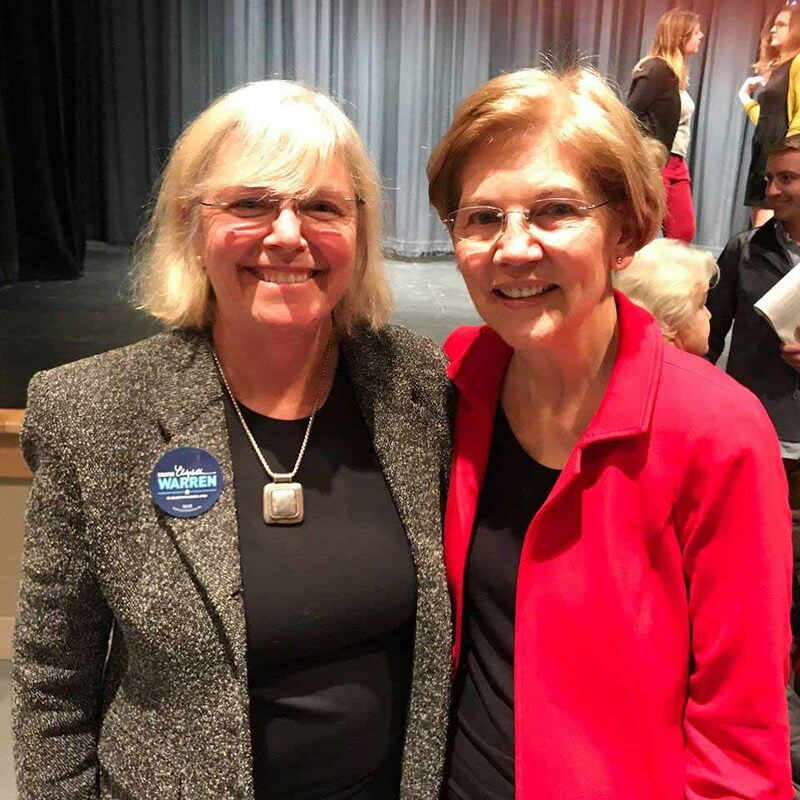 Adoptee Filmmaker Jean Sacconaghi Strauss (seen here with Senator Elizabeth Warren, D-Mass.) has announced her candidacy for State Representative to the Massachusetts General Court (2/24/2018). Her videos can be viewed on Vimeo here. Professor Elizabeth J. Samuels study, "The Idea of Adoption: An Inquiry into the History of Adult Adoptee Access to Birth Records" concludes laws were enacted to protect the confidentiality of adoptive families, not birth or natural families. She has reviewed surrender papers and finds no evidence women were given legal confidentiality. Rod Shinners is a member of our Albany lobby team and a father in search of a 49-year-old born on Long Island. The natural mother will not divulge the gender of the relinquished person. All he knows is the person was relinquished for adoption. Rod's search is difficult — if you know anyone 49 years old who resembles Rod, let us know! David Weprin, our Assembly bill sponsor, held a press conference for A909 in Albany on Tuesday March 18, 2014. Join Our Email Lobby List! 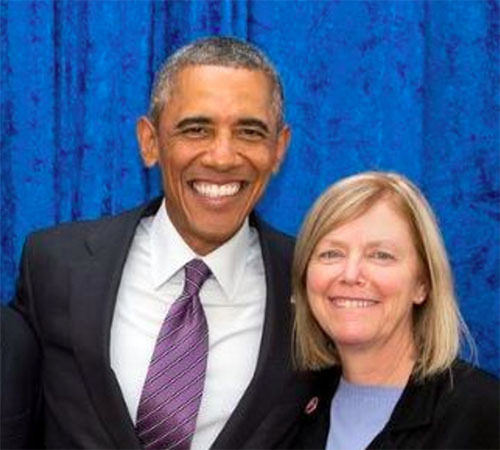 Adoptee Rights filmmaker Jean Strauss and President Obama. Most of the world is looking down on Ireland and many U.S. states for failure to keep up with the times, to recognize badly needed human rights for adoptees and natural parents and to apologize to the victims. Scotland changed its sealed record law in 1930 and England in 1975. 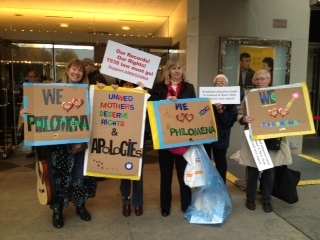 Kudos to the British for making the film Philomena. "How Ireland Turned 'Fallen Women' Into Slaves", a History Channel story by Erin Blakemore, March 12, 2018. "Broadcaster Niall Boylan praised for his 'courageous' and 'extraordinary' story of Mother and Baby Home", Irish Times, March 23, 2018. Disturbing news of medical research conducted on babies in the Irish Mother and Baby Homes. Bodies of dead babies were sent to the anatomy department of medical schools. Award-winning writer, adoptee and foundling Jeanette Winterson is interviewed on NPR about her life and latest work. Adoptees must be free from a law legalizing the falsification of permanent records. A bill signed by Governor Lehman in 1935 and enacted in 1938 which nullifies the inalienable and civil right of a person to know the actual facts of their birth and obtain a copy of their original birth certificate. Governor Lehman signed the closed record law in July 1935. We are committed and dedicated to the cause of removing this outdated, unfair and discriminatory law. Adoptee David Phelps speaks out against discrimination against adoptees who deserve the inalienable right to know -- anything less is unacceptable. A new law recently signed by Governor Cuomo extends participation in the adoption registry to include adult adoptees born in other states but adopted in New York. At last they can obtain non-identifying information from the registry the same as adult adoptees born in the state. Secrecy and confidentiality were one and the same and not legally defined because they were social mores and not laws. Shame, secrecy and denial were social mores from the Victorian era that brought about the stigma of illegitimacy for both adoptees and for their mothers who were all too often manipulated into signing a surrender paper relinquishing their child for adoption. Confidentiality was for the adoptive parents and not for the adoptee who professionals and everyone else knew would never search. Social workers never developed programs to help women cope with the stigma of illegitimacy because they felt these women deserved such stigma. Neither were they informed that relinquishing their children would cause them lifelong grief and anguish. Women were not presented with options. They were not considered upright, competent nor deserving enough to raise their own children. Many women signed a surrender paper stating that they would not interfere with the custody, control and management of said child. The word confidentiality was not in any surrender paper including mine. We were told over and over not to disrupt the adoptive home and to get on with our lives and forget our own children. Professor Samuel's research findings are correct: sealing adoption records was meant to protect the adoptive parents, not birth or natural parents who were treated without basic human dignity during this period and even today sadly still are in many states. Adoptees fared no better. Torn from their natural families, their social and genetic histories, they had their native identities made secret by the state and were given new identities and expected to adapt as best they could. This forced relinquishment and adoption has brought with it a host of problems for adoptees. By the 1970s, many sought to begin to address the realities of their lives by searching, but were dissuaded by the negative stereo type of the birth mother as prostitute, low-life or gutter dweller who would take the adoptee down with her. However the truth eventually showed itself and adoptees found their mothers were, quite often, the girl next door. Rosie Fuller's story of embarrassment and humiliation in her struggle to learn her identity. She ends up with two families and the answers she needs to heal her life. "Adoptees Deserve Access to Family Histories". Adam Pertman, former Director of The Donaldson Institute, the foremost think tank on adoption issues, is now the Director of The National Center on Adoption and Permanency (NCAP). 2012 - 50 pages - Evan B. Donaldson Adoption Institute: "Openness in Adoption: From Secrecy and Stigma to Knowledge and Connections"
2010 - 46 pages - Evan B. Donaldson Adoption Institute: "For the Records II: An Examination of the History and Impact of Adult Adoptee Access to Original Birth Certificates" is based on a years-long examination of relevant judicial and legislative documents; on decades of research and other scholarly writing; and on the concrete experiences of states and countries that have either changed their laws to provide these documents or never sealed them at all (Entire study published on Institute's website). 2009 - 112 pages - Evan B. Donaldson Adoption Institute: "Beyond Culture Camp: Promoting Healthy Identity Formation for Adoptees." The broadest, most extensive examination of adult adoptive identity to date. (Entire study published on Institute's website). 2007 - 50 pages - Professor E. Wayne Carp: "Does Opening Adoption Records Have an Adverse Social Impact? Some Lessons from the U.S., Great Britain, and Australia 1953 to 2007." (Study available from www.informaworld.com or from Unsealed Initiative). 2007 - 31 pages - Evan B. Donaldson Adoption Institute: "For the Record: Restoring a Legal Right for Adult Adoptees." (Entire study published on Institute's website). 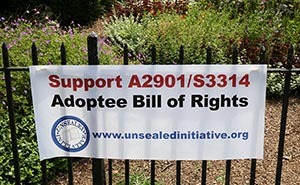 2008 - 33 pages - Cleveland State Law Review: "The Only Americans Legally Prohibited from Knowing Who Their Birth Parents Are; A rejection of Privacy Rights as a Bar to Adult Adoptee Access to Birth and Adoption Records." (Online copy available from Unsealed Initiative). Cleveland State Law Review. Volume 55 issue 3. 2001 - 59 pages - Professor Elizabeth J. Samuels: "The Idea of Adoption: an Inquiry into The History of Adult Adoptee Access to Birth Records." Study concludes confidentiality was for adoptive parents. Some birth parents signed surrender papers agreeing to stay away from the custody of the adoptee and adoptive family. But no birth parent was given confidentiality or a right to privacy. This study is published in the Rutgers law review #367, 2001. (3-page conclusion available from Unsealed Initiative). 1997 - Cornell University study sponsored by the New York State Citizens Coalition Children: "Adoptive Parents Are Overwhelmingly in Favor of Opening Sealed Adoption Records." (Available at www.news. cornell.edu/release/jan97/adoption.record.ssl.ht). 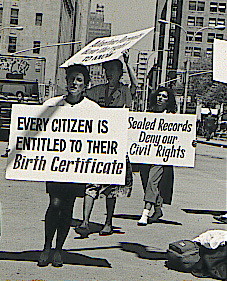 1973 - New York Law Forum study concludes adults adoptees should have access to identity and birth records for psychological health reasons. (Available from Unsealed Initiative). 2003 - Survey conducted by FindLaw finds an overwhelming majority of Americans believe adopted children should be granted full access to their adoption records when they become adults. (Survey findings published on http://www.findlaw.com). 1989 - UN Resolution (44/25 UN Convention on the Rights of the Child, Article 8). Section 1 states parties undertake to respect the right of the child to preserve his or her identity, including nationality, name and family relations as recognized by law without unlawful interference. Section 2 states where a child is illegally deprived of some or all of the elements of his or her identity, state parties shall provide appropriate assistance and protection, with a view of re-establishing speedily his or her identity.